After a wonderful National Friends of Libraries week reception, Friends president Marie Orlando presented the Library with a generous $10,000 gift to the campaign! 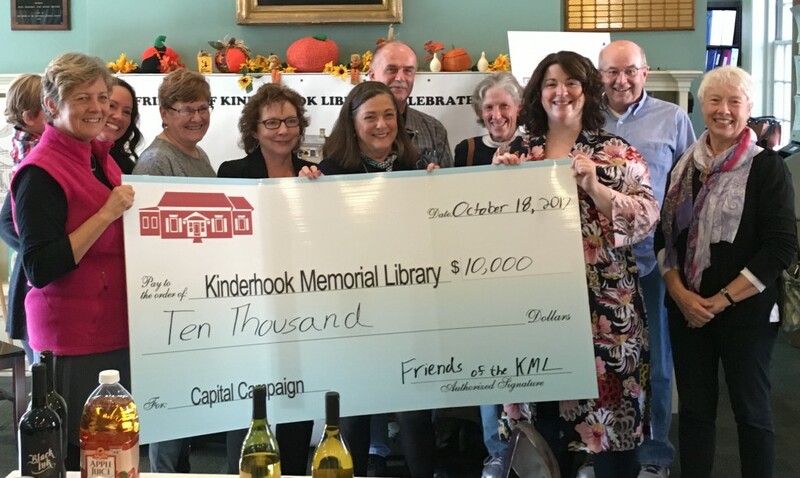 Thank you to the Friends of the Kinderhook Memorial Library for this fantastic donation and for the wonderful work that they do to support our Library and our community! AnnaLee Giraldo, Tony Jones, Gary Spielmann, Carl Florio, Marilyn Herrington and Sid Richter. 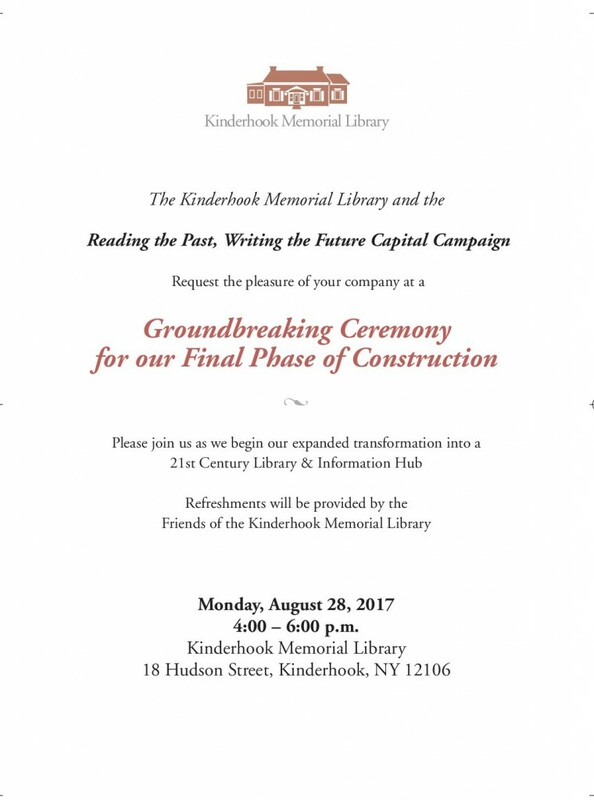 The Reading the Past, Writing the Future capital campaign received a major, $75,000 grant from the Hudson River Bank & Trust Foundation for Phase Two construction – the major expansion of the Library that will begin building in the Fall. 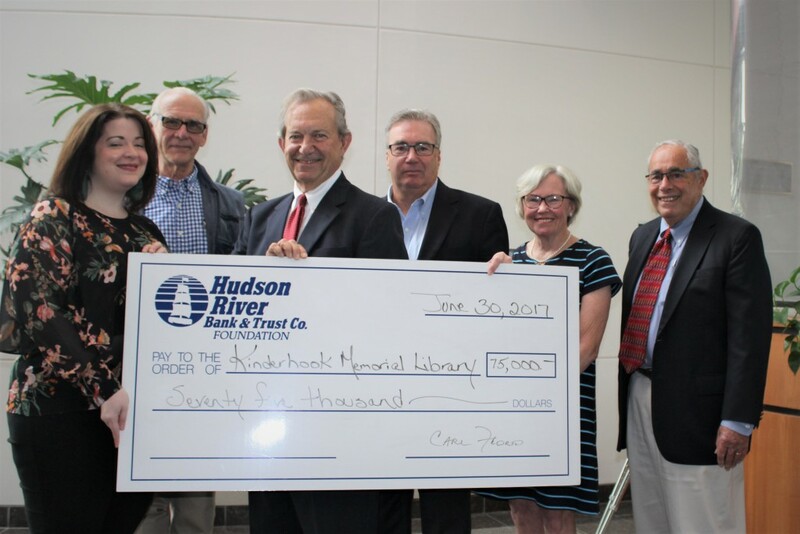 HRB&T has been a stalwart supporter of KML as well as other libraries in Columbia County, and we are grateful to the Foundation and its Trustees for their generous investment in our community. HRB&T also hopes that this grant will inspire and encourage others to give to the campaign. 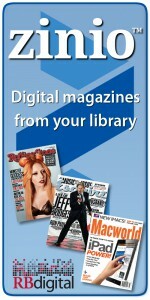 Donors are welcome to contact the Library to learn more about how to donate.